DUBAI, United Arab Emirates (AP) — New security screenings for all passengers on U.S.-bound flights began on Thursday, with airlines worldwide questioning flyers about their trip and their luggage in the latest Trump administration decision affecting global travel. The new regulations come at the end of a 120-day period following the United States lifting a ban on laptops in airplane cabins affecting 10 Mideast cities. The new regulations cover all the 2,100 flights from around the world entering the U.S. on any given day. Some airlines said they had received permission to delay implementing the new rules until January. 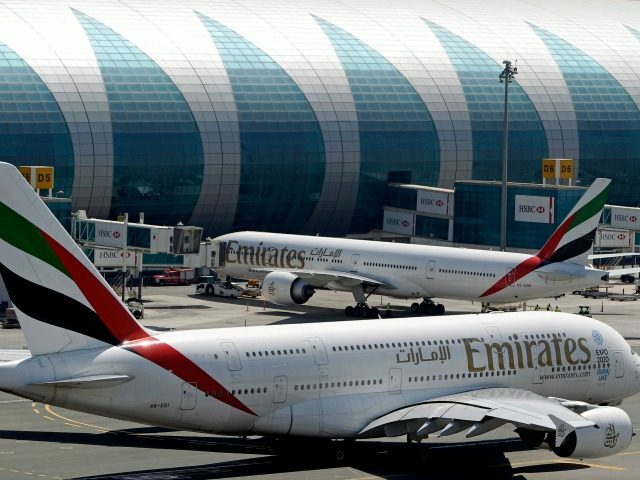 At Dubai International Airport, the world’s busiest for international travel, long-haul carrier Emirates began questioning passengers about their luggage, liquids they were carrying and where they were coming from. Passengers also had to have their carry-on bags searched, along with their electronics. Emirates declined to discuss the new procedures in detail on Thursday. On Wednesday, it said it would conduct “passenger pre-screening interviews” for those traveling on U.S.-bound flights in concert with other checks on electronics. “We’re not going to interview all passengers, but focus on those with a certain degree of risk when checking the passengers’ documents on the ground,” he said, without elaborating. An official with the Eastern Airlines publicity department said that she saw media reports about security safety interviews but didn’t have immediate details on what her company was doing. An official at the Beijing Airport press center would only say: “We always strictly follow relevant regulations of the Civil Aviation Administration when conducting security checks.” Both officials spoke on condition of anonymity under regulations. South Korea’s Transport Ministry said that the United States agreed to delay implementing the new screening for the country’s two biggest carriers, Korean Air Lines Co. and Asiana Airlines Inc., until next year on condition they deploy staff at boarding gates to monitor travelers. Royal Jordanian, based in Amman, also has said it would introduce the new procedures in mid-January. Other airlines with U.S.-bound flights at Seoul’s Incheon International Airport brought in as many as seven extra staff Thursday to question passengers under the new rules but there were no major delays, airport spokesman Lee Jung-hoon said.